Update 1/13/17: The original Orlando location is confirmed to be closing to the public in the next few weeks. 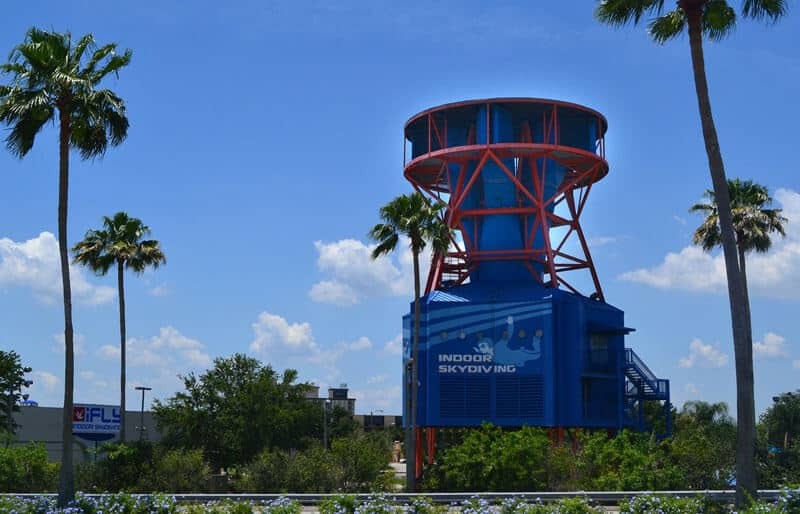 Opened in 1999, iFLY Orlando is wind tunnel manufacturer SkyVenture's first vertical wind tunnel. This open-flow location was invented by Bill Kitchen. The open-flow technology that this tunnel employs sees 5 fans up top that pull air up through the flight chamber below. This facility is to be replaced with a new recirculating, two-flight chamber facility just 3 miles south on International Drive. The new Orlando location is to join only a handful of wind tunnels around the world that feature two flight chambers in a single facility. The flight chambers are to be ground level and the front windows will allow people passing by to look in and see people flying. This new facility will hold recirculating tunnels which means the facility will be silent from the outside and temperature controlled - two important features that the current tunnel is missing. Also to be included are meeting and party rooms for hosting events. The current estimated opening for the new location is January, 2017. We don't have details on the size of these side-by-side flight chambers yet, but we will update as we learn more. In an interview with Attractions Magazine, Nicholas Romeo of iFLY spoke on the plans for the current location. iFLY Orlando will continue to run until the new location is opened in early 2017. Once the new location opens the current will close to the public, it does not sound like it will be immediately torn down. 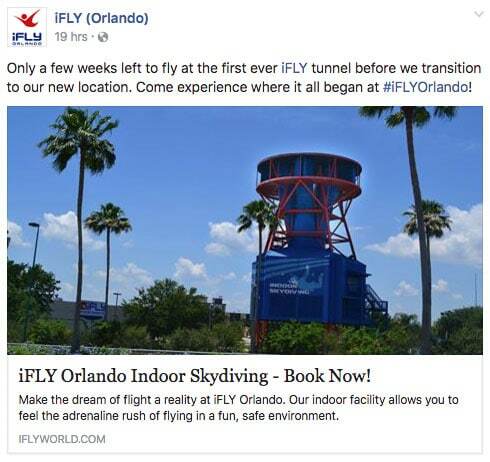 Orlando, and I-Drive specifically has been busy with indoor skydiving announcements as of late. Also announced this week were more details on another 14 foot single sided recirculating wind tunnel. This tunnel is not an iFLY tunnel however and instead is being built by new Dubai-based wind tunnel manufacturer Extreme Flight. This location is called Extreme Flight Orlando and the project site sits only 1 mile away from the new iFLY Orlando location. We will be following this story closely and updating as we go. If you are interested in the new Orlando location we suggest you visit the iFLY Orlando I-Drive page and subscribe.